SPECTACULAR FLEMING ISLAND HOME WITH NO CDD'S or HOA. 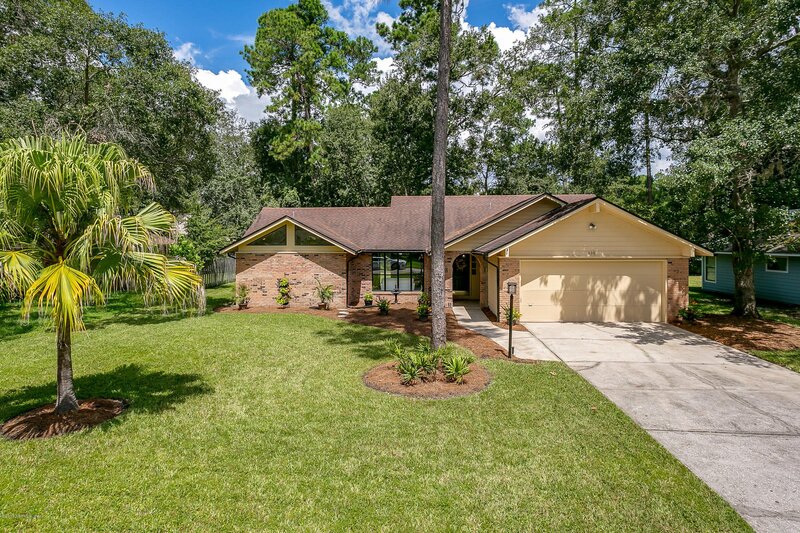 Totally remodeled and close to everything that Fleming Island has to offer. White kitchen boasts new Quartz countertops with subway backsplash, new refrigerator, new microwave, new deep dual sink, new disposal and faucet. Master boasts two walk in closets, freshly remodeled extra large shower with bench, vanity includes two sinks. Covered screened lanai for year round enjoyment on a pond. Large two car garage. Roof and air conditioner have been replaced. Neutral colors throughout. With large ceramic tile in main living areas, and new carpet in the bedrooms, this house is ready to become a home! Listing courtesy of EXIT 1 STOP REALTY. Selling Office: LOCKLEAR REALTY LLC.